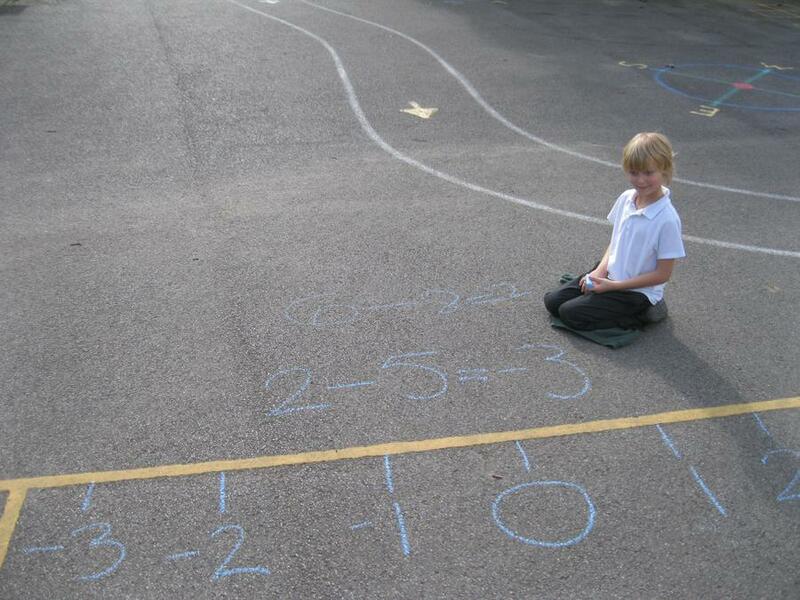 In Maths we started thinking about negative numbers and how they are used. 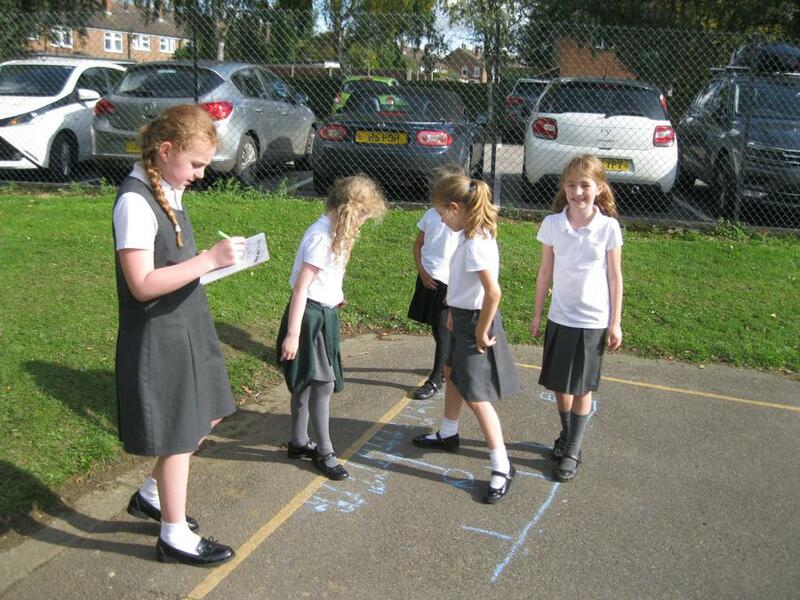 We watched a weather report to see when they are used in temperatures and linked this to our work on mountain weather. 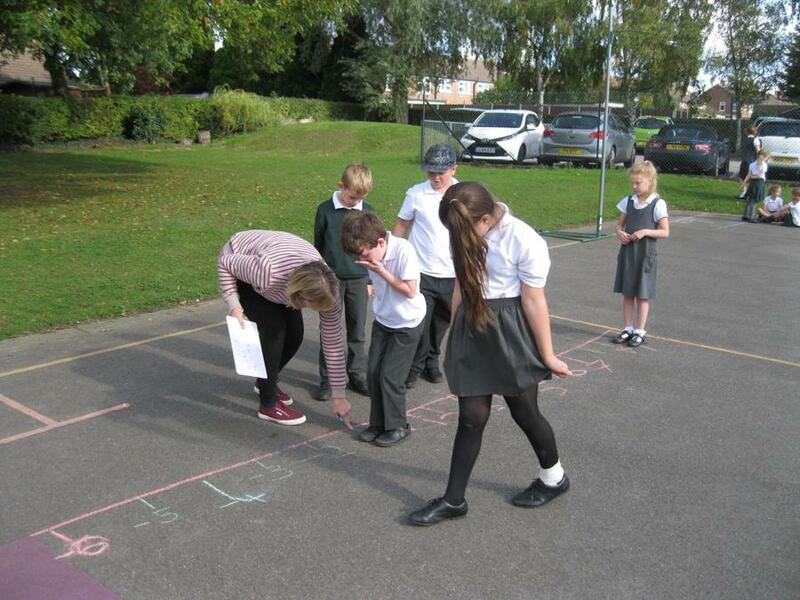 We then looked at how they might be used to measure distance in diving, with the diving board being at +10m and the bottom of the pool at -10m. 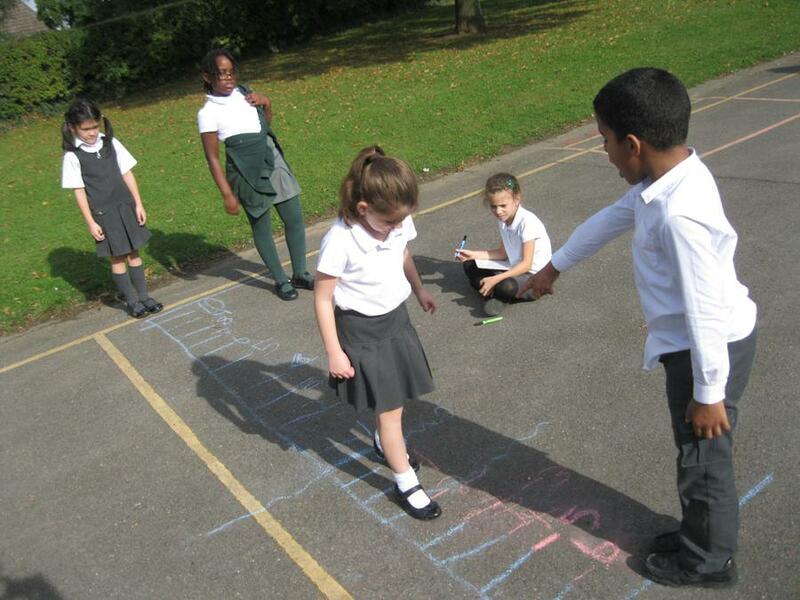 We decided to have a go at drawing our own negative number lines using chalk on the playground and practised moving along them in different directions, recording the calculations as we went along.